When people plan for their holiday parties, they sometimes forget to think about what to serve as Christmas drinks. 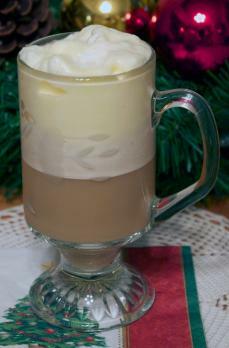 Thankfully, a lot of delicious beverages are perfect for the season, and many can be created last minute using very few ingredients. These drinks can be shared by guests of any age. This drink has a delicious fruit taste with a bit of a bite. It's nonalcoholic, so the entire family can enjoy it. 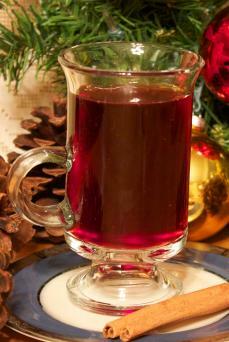 If you want a more involved option, try a nonalcoholic Wassail recipe. The recipe below makes six servings. Place the pot on the stove and heat until boiling. After the mixture has been boiling for five minutes, reduce the heat to simmer. Let the drink simmer for 1/2 hour. Serve the beverage by ladling the hot mixture into mugs. Rich, spicy and chocolaty. 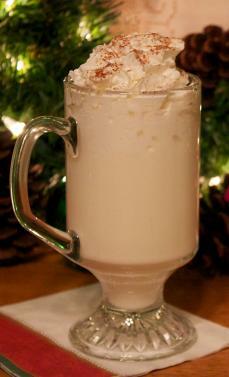 You really can't ask for more in a holiday drink. You'll get about four servings out of this recipe. Put half the cream, the chocolate chips, and the nutmeg in a saucepan. Simmer and stir on low heat until the chips melt. Take the pan off the heat and add in the extracts. 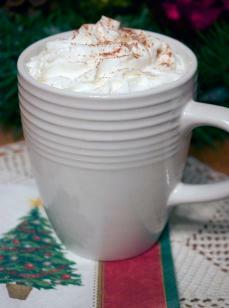 Pour the mixture into mugs, garnishing with cinnamon and whipped cream, if desired. It's like a peppermint patty in a cup. Yum! This recipe has about four servings. Heat cocoa powder and milk in a saucepan on medium heat. Gradually stir in chocolate chips and mint pieces. Simmer until peppermint dissolves, stirring occasionally, for approximately 10 minutes. Increase heat to a boil for 30 seconds. Remove from heat and serve in mugs. Adults who are old enough to imbibe might enjoy something a little stronger for the holidays. This drink gets its name because it's the perfect drink to have after a tough day on the slopes. It will warm you up quickly, but be careful since it is strong. This recipe makes four servings. In a saucepan, combine the water, sugar, and cinnamon stick. Heat the mixture until boiling and then turn it down to simmer. Squeeze the orange over the pot to capture the juice. Put the orange's peel and the cloves in the liquid. Let the mixture simmer for 1/2 hour. It should thicken. Add the entire bottle of wine and heat the mixture until it begins to steam. Ladle the drink into mugs and serve. 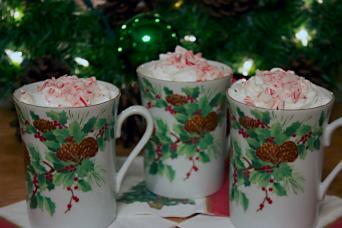 Experience the coziness of the season with coffee and sweet almond flavors. This recipe makes one serving. Brew the coffee and add to a mug, filling it three quarters of the way. Pour in the remaining two ingredients. Top with whipped topping and a dash of nutmeg. If sweet is not your thing, this savory drink should do the trick. Note that it does contain a raw egg. This recipe makes one serving. Separate the egg and beat the egg yolk and the white in separate bowls. Combine them together and pour the mixture into an eight ounce mug. 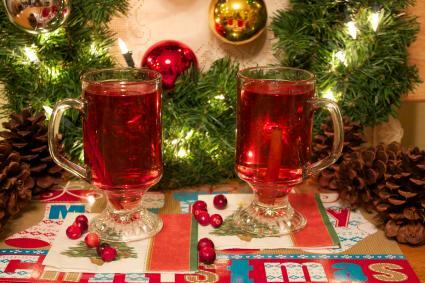 No party is complete without quintessential Christmas drinks like beer, wine, and eggnog. You can simply pick these up at the store; no bartending prowess required.